Downsizing is also known as downshifting. Downsizing means changing various aspects of your life in order to live a simpler life, which frees up time and/or requires less money. Downsizing can be through choice or through economic necessity. As well as saving people money, downsizing often means living a greener, more environmentally friendly lifestyle. Still not sure what downsizing is all about? Here are some examples of downsizing to save time, money and stress. Quitting a job which requires a long commute to take another job which is closer to your home. Starting to work from home to reduce office stress and to spend more time with the family. Working part-time to give you time to pursue other activities. Taking a lower-paid job because it’s more in line with your values and ambitions. Selling your home to release equity. You may buy a smaller cheaper home or rent. 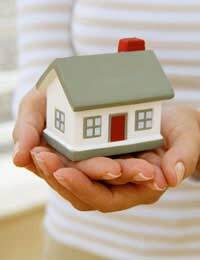 There are many ways that downsizing your home could help you save money as well as improve your life in other areas. By buying a smaller home or renting one it’s likely that you’ll save money on monthly rental or mortgage costs. Be sure to research the market thoroughly though otherwise the worst case scenario is you’ll end up with a smaller property that doesn’t cost less money. By moving to a smaller home you could also save money on utilities bills as it is likely the property will cost less to heat and run. Another reason for moving home when you downsize is to cut down commute times. Commuting can be very draining, not to mention expensive. You may find that you save time, money and stress if you move to a home which is closer to work and other places that you regularly travel to. How will downsizing your home affect your family? How will they feel about it? Whatever your reason for downsizing your home – whether it’s money, time or stress – have a frank discussion with those it will directly affect so that they have all the background information. If you are reluctant to downsize your home but feel you have no other choice, make sure you have investigated all your options. For example could you take a lodger in to make more money, or could you speak to your boss about the possibility of working from home a few days per week to reduce your stress levels and commute time? Consider how much downsizing your home will cost and whether the equity you release will be worth it. Moving home is not cheap and there are many hidden costs involved. If you want to simplify your life but don’t want to sell your home, or you want to downsize your home, but just not yet, there are plenty of small downsizing steps you can take. Can you downsize your car? Do you need a car at all? Consider whether travelling by public transport or waking is feasible. Look at ways to live more simply, such as cutting fuel bills, cooking from scratch and buying secondhand. Start looking for some clients if you plan to make the leap to working from home. Ask at work about working from home or reducing your hours.